Here's How You Can Score An Invite To An Exclusive Fanmeet With Innisfree Brand Ambassador Yoona! Mention innisfree and the first face to come to mind would most likely be K-pop icon Yoona. The Girls’ Generation member has always been adored for her fresh-faced beauty and youthful charms (can you believe she’s almost nearing 30? ), which comes as no surprise that the Korean skincare brand has appointed her as their longtime muse. And for the first time ever, Yoona will be making her appearance as an innisfree brand ambassador as part of the innisfree Green Tea Seed Serum ASEAN #WHydration event. 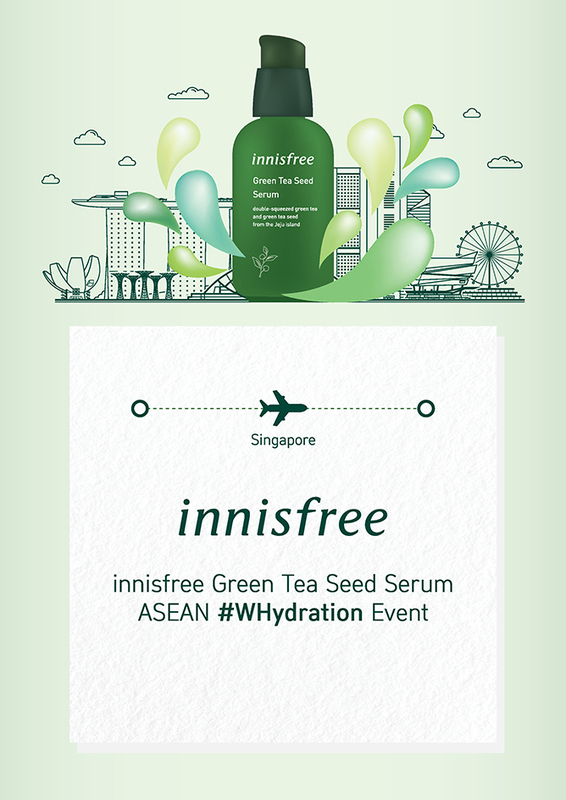 To be held on 30 March 2019 at Marina Bay Sands (Sands Expo & Convention Centre), innisfree is set to unveil its bestselling Green Tea Seed Serum featuring a new brand identity and revamped design in a first-of-its-kind mega ASEAN event. Besides Yoona, the grand affair will also be bringing in familiar faces across the region to celebrate the occasion, including popular Korean twin sisters Q2Han (@q2han), as well as local personalities Christabel Chua (@bellywellyjelly), Preetipls (@preetipls), Brenda Tan (@wordweed) and more. From 12pm to 3.30pm, the public can join in the #WHydration Talk Show which features Q2Han alongside other regional influencers from Malaysia, Indonesia, Philippines and Thailand. For fans of Yoona, you can stand a chance to win an exclusive invite to a closed-door fanmeet session with the K-pop star – simply be the first 200 customers to spend above $100 at the innisfree Takashimaya S.C. store, starting from 11am onwards on 20 March! In addition, 10 lucky fans will also get the opportunity to interact with Yoona before the fanmeet. To participate, all you have to do is to register at the booth by the cashier after making your purchase. Guess it’s time to go on an innisfree spree! Calling all Marvel-obsessed makeup enthusiasts – it’s finally our time to shine with this gorgeous beauty collection featuring Earth’s best defenders! Ask any Marvel fan and you would know that 2019 is an all-important year for dedicated aficionados of the Marvel Cinematic Universe as the studio gears up to release three highly-anticipated films in the coming months, including the long-awaited Avengers: Endgame. 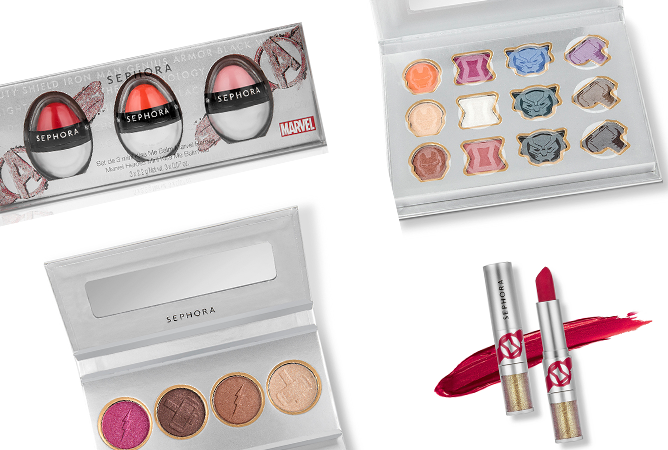 To get us even more psyched for the upcoming releases, Sephora has joined forces with Marvel for an exclusive collection of bold, holographic must-haves that covers all your superhero beauty needs. Featuring symbolic icons of your favourite MCU characters – think a Captain America shield-inspired blusher, a Thor eyeshadow palette and a Black Panther highlighting palette – these limited edition makeup and skincare must-haves will be all the weapons you need for a marvellous day out. Scroll through the gallery to check out these super offerings. Sephora Collection’s Marvel Range will be available at all Sephora stores and online at www.sephora.sg from 28 March 2019. Love is in the air! With Valentine’s Day fast approaching, chances are you’re probably racking your brains for the perfect gift to please your sweetheart. But before you run to the nearby florist for a conventional bouquet of roses, why not make her day with some of her favourite beauty treats? Plus, these are perfect for self-gifting too! Consider your date night look done with the Korean cosmetics brand’s new 24H Love Me Glow Make-Up Kit, which consists of the Perfect Magic Cover Fit Cushion, Perfect Water Fit Make-Up Refresh Pad as well as the Perfect Magic Kill Fit Tint – which has a lip-plumping effect to give you an irresistible, smooch-worthy pucker. Valentine’s Day has never looked this good! Available at selected Guardian stores and online at www.guardian.com.sg. Leave it to Rihanna to save Valentine’s Day. 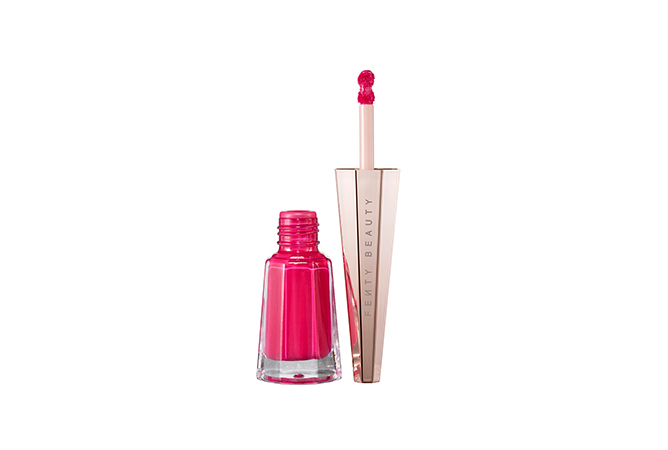 One of the latest additions to the Stunna family, Fenty Beauty introduced a bright, almost neon fuchsia shade that will instantly brighten up any makeup look. Besides its insane colour payoff, it also boasts a budge-proof formula that will help your lips stay kissably smooth throughout the day – no touchups needed. Available at all Sephora stores and online at www.sephora.com.sg. 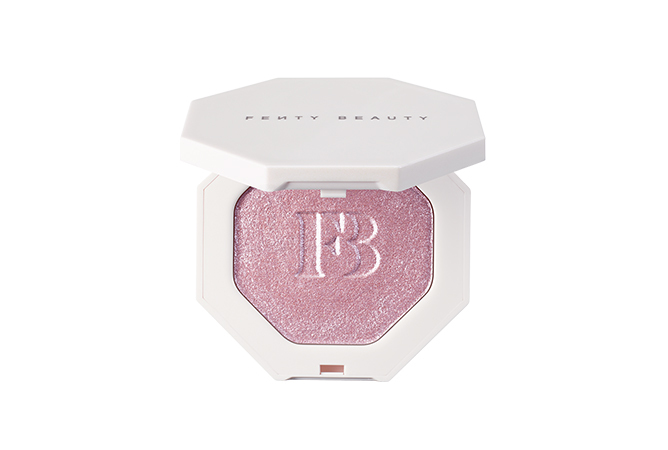 Alongside the new Stunna Lip Paint shades, Fenty Beauty also expanded its Killawatt lineup with a new baby-pink shimmer highlighter. Lightweight yet superbly long-wearing, this hybrid highlighter gives you a subtle, daytime-appropriate glow without looking like a glittery mess. And with a name like Wattabrat, you’re bound to serve up some seriously #Lit looks. Add some sparkle to your routine with Glamglow’s cult-favourite #GLITTERMASK in collaboration with My Little Pony. Packed with a magical blend of liquorice and marshmallow leaf, this holographic treatment works as a peel-off gel mask that helps to tighten, tone and lift skin after just one use. One of the new K-beauty brands that just arrived at Guardian, I’M MEME’s heart-shaped lipstick collection had us all going heart-eyes whenever we apply it. 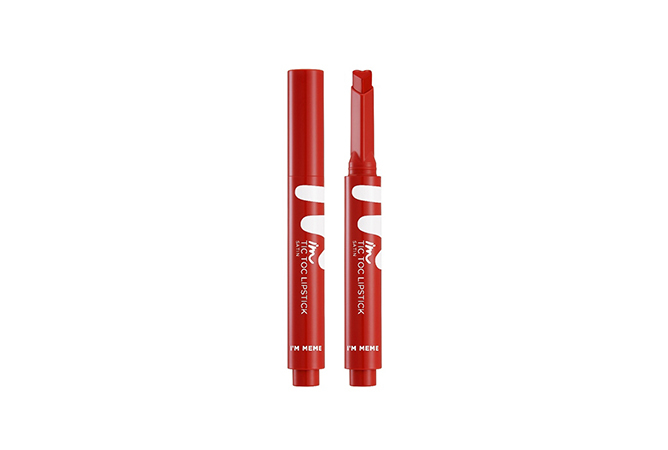 Not only is it easy to use thanks to its clickable design, this ultra-cute lippie doesn’t disappoint in the pigmentation department either – one swipe is all you need to achieve the perfect V-Day ready pout. Give your cheeks some love for Valentine’s Day! 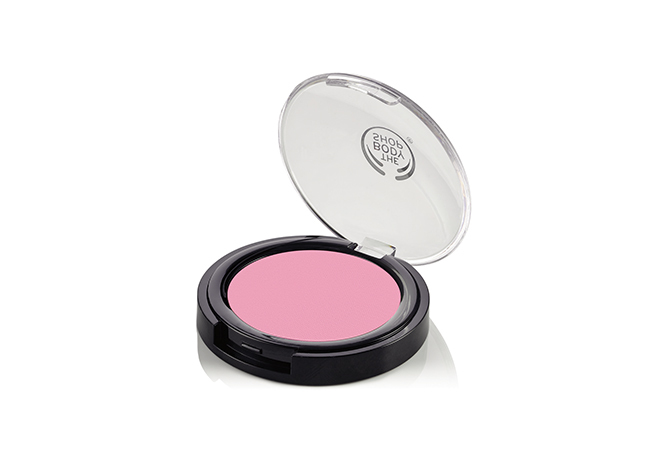 Swirl on this flirty pink shade for an instant flush of colour that will make you look like a blushing beauty. Better yet, this powder blush is made with ingredients such as Vitamin E and marula oil so you’re getting the skincare benefits as well. Available at all The Body Shop stores. 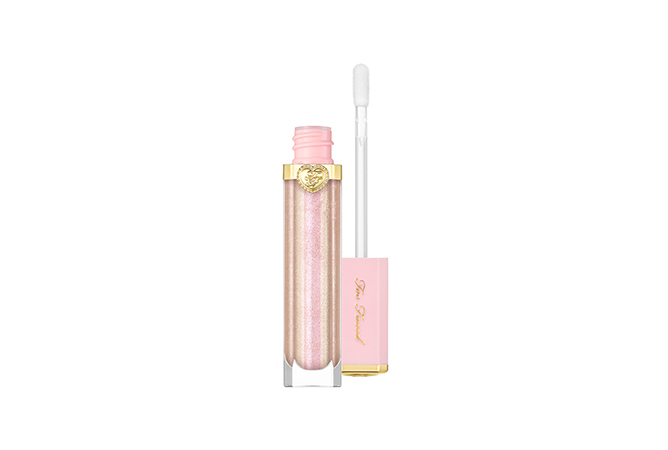 For those who just can’t get enough of all things glittery, TOO FACED’s new gloss from its Pretty Rich Collection is gonna be your go-to gal. Infused with light-reflecting glitters and natural oils, this high-shine lippie glides on smoothly for a dazzling finish while keeping your lips hydrated. Not to mention its glam packaging that’s fit for a princess – it’s to die for! Can you blame us for wanting everything from 3CE’s Maison Kitsune collaboration? Topping our wish list is this multicolour eyeshadow palette that comes in two variations: Freezing Step for cool tones and Warming Wear for warm tones. Each palette consists of six flattering shades ranging from striking shimmers to velvety mattes, allowing you to create a variety of romantic looks. With Valentine’s Day just around the corner, what better way to sweeten things up than candy-inspired makeup? 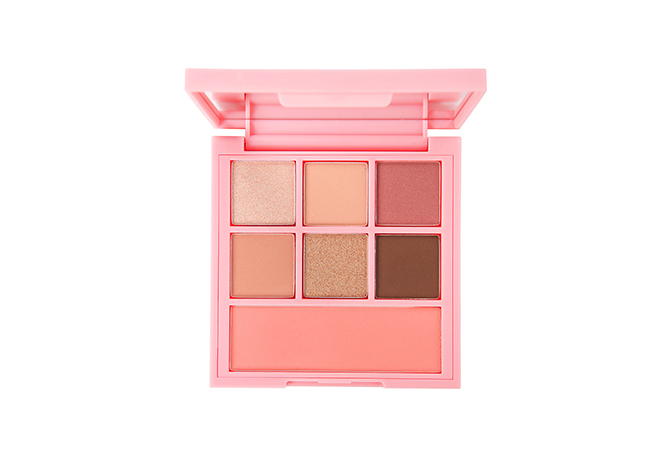 In partnership with Kit Kat, K-beauty brand ETUDE HOUSE just dropped the most delicious eyeshadow palette yet that is sure to satisfy your sweet-tooth cravings. Chocolate and makeup, how can you resist it? Available in two delicious flavours – Original and Strawberry Tiramisu – the new ETUDE HOUSE Play Color Eyes Mini Kit features six delectable shades that are all shaped into mini chocolate bars, which make it look almost good enough to eat. The Original variation has a mix of warm neutrals and gold glitters, while its Strawberry Tiramisu counterpart is made up of creamy tones and peachy shimmers. As if things can’t get even cuter, ETUDE HOUSE has cleverly named each of the shades after a particular ingredient of the chocolate snack – think Sweet Vanilla Choco, Mascarpone Cheese, Melting Cocoa Butter and more. We sure hope it smells just as delicious as it looks! To further sweeten the deal, you can also choose to get the special set which consists of the eyeshadow palette, a cute Kit Kat pouch and a bar of Kit Kat original chocolate. While the palettes are already available in Korea starting today, we think it’s only a matter of time before it hits local retail stores so keep your eyes peeled! With the auspicious season in full swing, it’s that time of the year again to start stocking up on everything new – and we’re not just talking about buying new clothes. 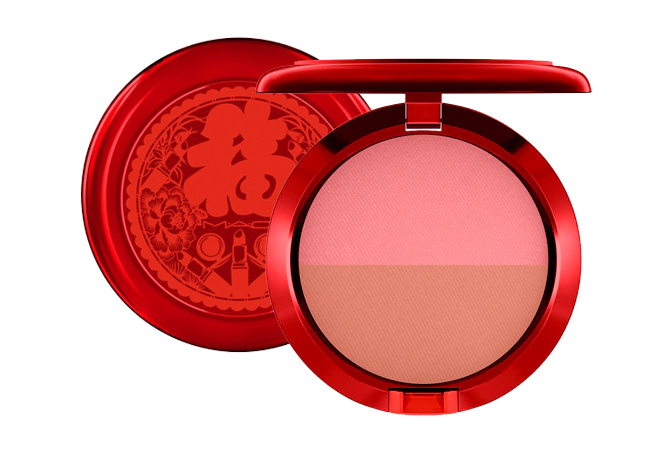 Get ready for the Chinese New Year festivities with these limited edition beauty launches inspired by the Year of the Pig! What better way to celebrate the Year of the Pig than a festive piggy bank? Consisting of a brow pencil, lip and cheek stain and curling mascara, the Benefit Cosmetics You’re A Lucky Star Limited Edition Set ($54) has all the beauty essentials you need to get you dolled up for the occasion. Oh, and it doesn’t hurt that they come packaged in a functional red tin that doubles as a piggy bank? Sow cute! Available at Sephora stores and online at Sephora.sg. Etude House has never disappointed when it comes to their holiday collections, and their latest collaboration with Disney is no exception. 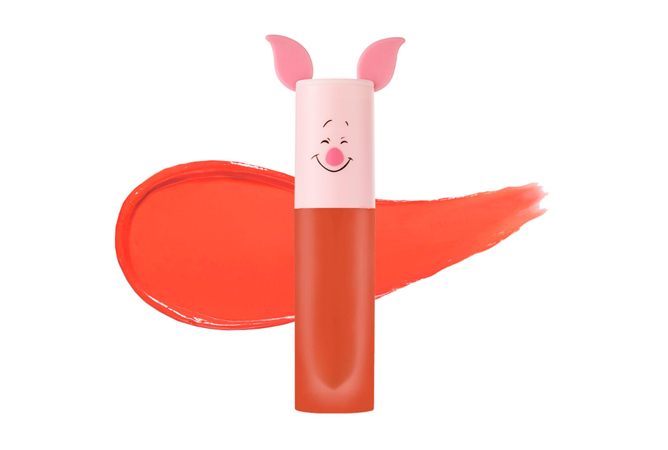 Featuring the ever-so-lovable Piglet and friends, fans of the little piggy can now get their hands on the Disney Happy With Piglet Collection, which introduces a range of adorable limited edition treats from lip tints to blushers in the cutest packaging ever. Snag ’em all before they fly off the shelves! Available at Etude House stores. Your favourite Laneige products just got an auspicious makeover for their Chinese New Year Collection! 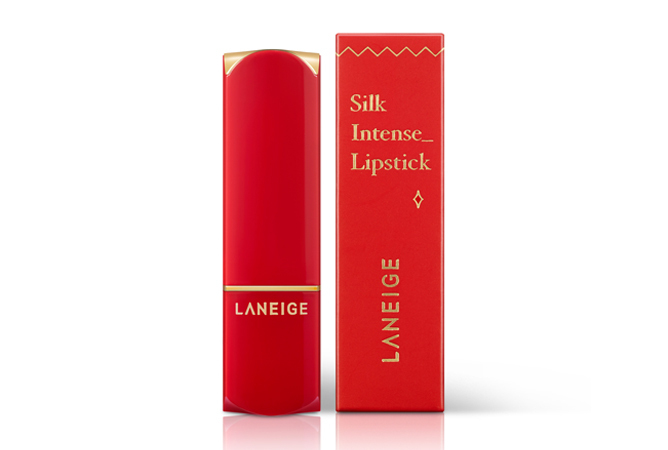 Decked out in lucky colours of red and gold, the South Korean beauty brand has rolled out a repackaged collection of cult-favourites such as the Limited Edition Silk Intense Lipstick ($36) that comes in four of their bestselling hues. Things are about to get even hotter with M.A.C Cosmetics’ Lucky Red Collection! Besides the plethora of lipsticks to choose from, you can also cop the Powder Blush Duo in Lucky Red ($29) which features a coral peach shade and sweet mid-tone pink that’s perfect for adding a pop of colour to your cheeks. There’s nothing like a classic red pucker to spice up your outfit, and shu uemura has come up with the perfect shade – just in time to ring in the auspicious season! 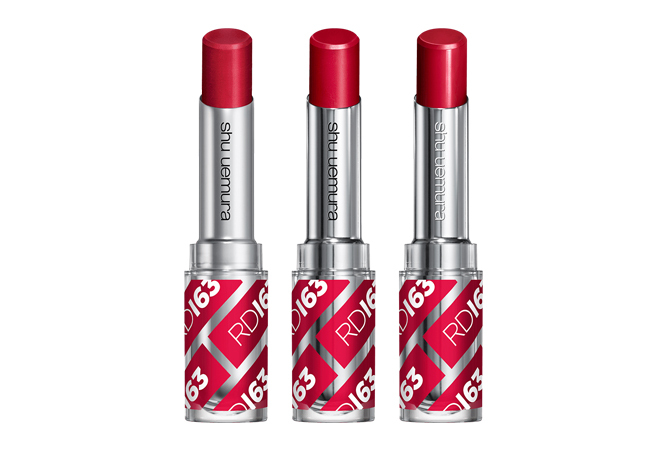 Enter their latest RD163 series ($38 each), which is specially formulated to complement Asian complexion and promises to work on all skin tones. Available in three textures (lacquer shine, matte and satin), one swipe is all you need to instantly transform your look thanks to its super pigmented formula. Available at shu uemura stores and TANGS. With all the merrymaking that’s about to go on, it’s important to ensure that your skin is in tip-top condition. 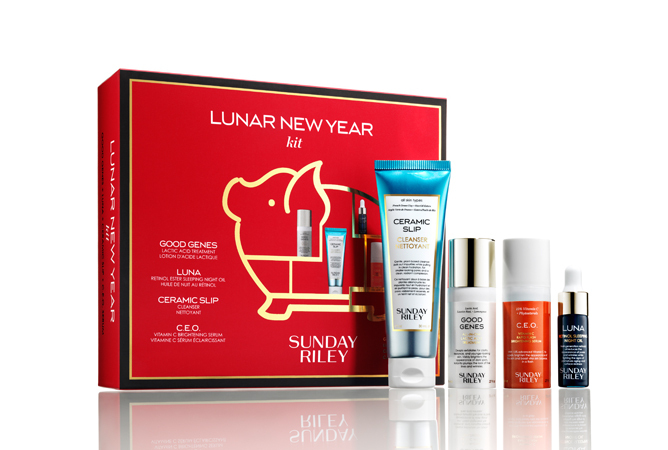 Usher in the Lunar New Year with the Sunday Riley Lunar New Year Kit ($79), which comes stocked with some of their bestselling products to achieve that coveted holiday glow. This includes the newly-reformulated Ceramic Slip Cleanser, which helps to buff away any impurities while leaving skin bright, radiant and ready for the festivities.